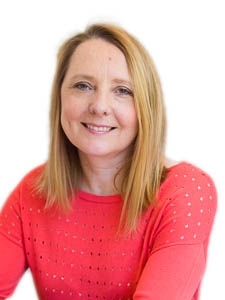 Ailsa Frank is a self-help author, motivational coach and leading hypnotherapist with a compassionate yet no-nonsense approach who teaches the AMAZING zone technique. need to change in order to improve their lives and then to make those changes by moving their minds on from the past. She is well known for her alcohol reduction system which she developed to help people take back control of their drinking. Although she also works with a variety of other subjects including heartbreak, stress, eating issues, debt, money issues, increasing wealth, parenting, relationships, finding love, health worries, addictions, fears, sleep, sales motivation, business success, confidence building and emotional issues. amazing zone to ensure life follows a positive direction. Ailsa’s work has been featured in numerous articles in national newspapers and magazines. "In the month following my first session [with Ailsa] I have earned an extra £1000." A journalist writing in The Express. "Cut the Crap and Feel Amazing by Ailsa Frank (Hay House) is a dip-in, no-nonsense guide to shedding habits that are holding you back. "I sing your praises to everyone. You have changed my life." "I certainly feel calmer, happier and sleep better than I have done in ages." "Sarah left the session feeling cleansed and transformed with a strong sense of having let a significant weight go." "Life is easy since I read the book." "Ailsa's hypnotherapy has completely turned her life around." "After the session with Ailsa I felt a contented sensation that things had worked out for the best." "My anxiety and depression has gone since listening to the recordings." "The hypnotherapy with Ailsa certainly allowed her to move on quickly and easily." "In the month following my first hypnotherapy session with Ailsa I have earned an extra £1000." "I was drinking at least one bottle of wine per night, now I drink occasionally and never on my own." "I was scepticle but it turned out to be the best money I have ever spent." "I would like to thank you for the huge difference your hypnotherapy has made to my life, I no longer feel an urge to drink." "I think I should have done this along time ago. I sleep soundly and I am more relaxed." "It is three years since I stopped drinking alcohol due to the hypnotherapy, thanks." "Really impressed with the results of the alcohol hypnosis, very pleased. I never imagined I could just leave wine in the bottle and not feel the urge to finish it. The hypnosis download works really well." "Best value, I have saved so much money since reducing down alcohol." "One session with Ailsa really helped my studies and I was really relaxed in my exam. I only reviewed my work twice and was able to recall the information accurately. It used to take me five times as long!" "I am feeling so much more optimistic and organised, I have earned an extra £1000 this month." "Ailsa’s hypnosis download was like a hand coming out of the mist, my depression lifted and I lost 6 stone in 9 months." "The hypnotherapy recordings have changed my life, thank you." "I don't feel tired, overwrought or irritable, my concentration is better so I'm getting my work done quicker and more efficiently."